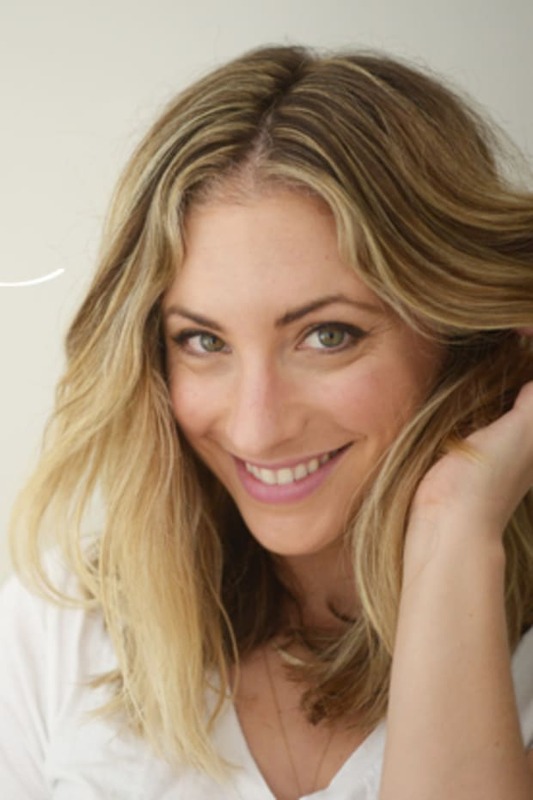 When we were engaged and I was planning my look for our wedding day, I went back and forth on my hair - whether to wear it up, down, wavy or straight. One day I asked G if he had an opinion either way and somewhat surprisingly, he didn&apos;t miss a beat. He liked it up. 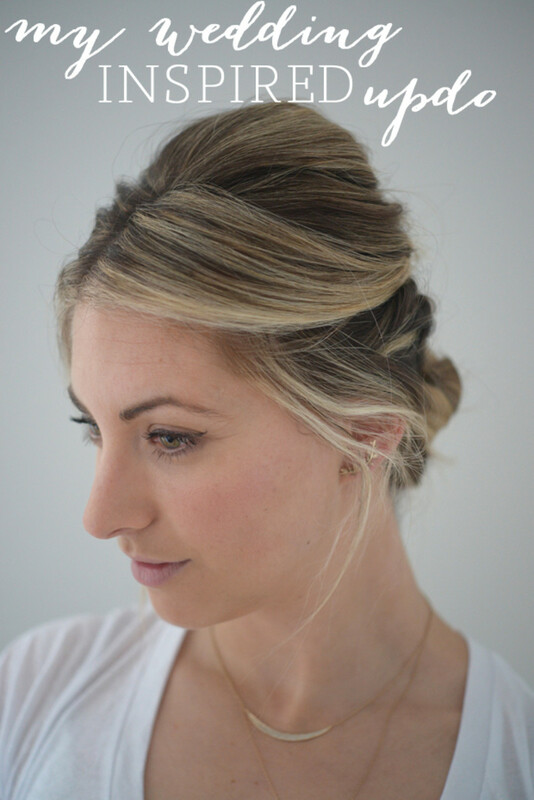 So I went with a romantic updo that was pretty and unassuming, but not overly complicated. 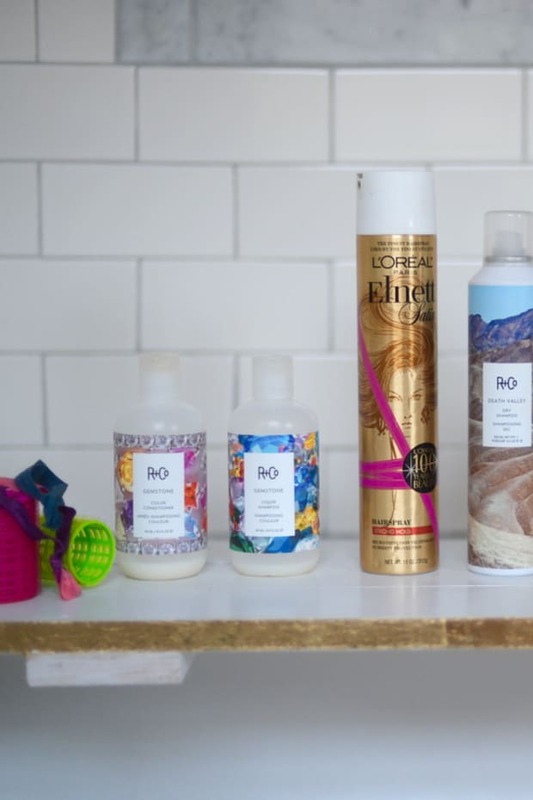 In collaboration with Dove, I recreated my wedding day look with a few simple steps. 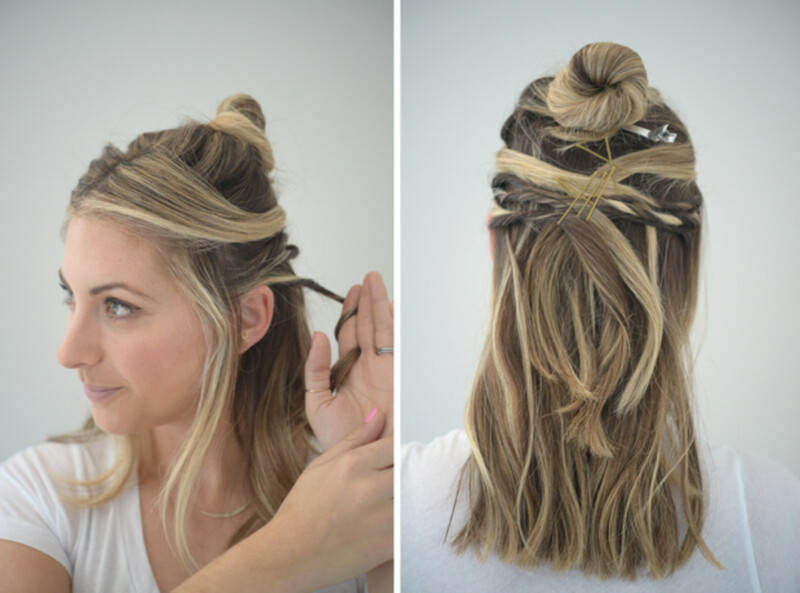 Step 1: Gather hair at the crown and secure with a clip. 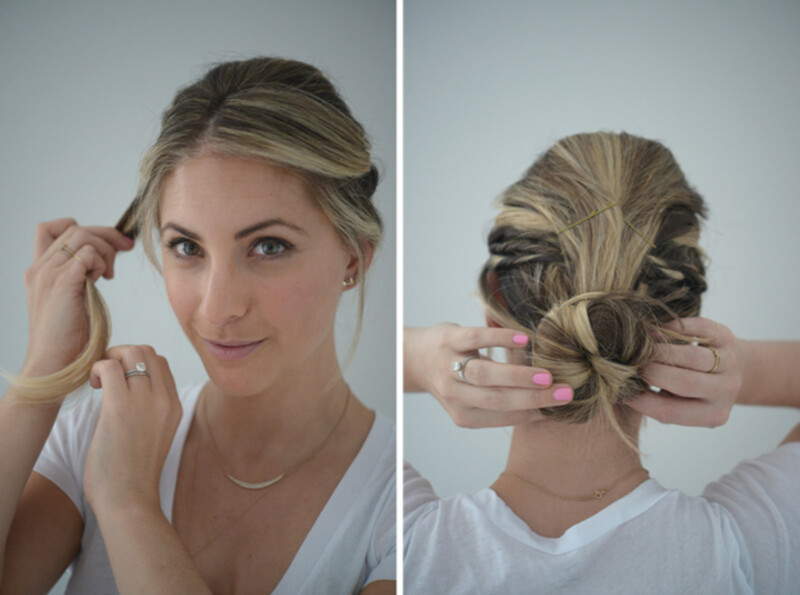 Step 2: Take the two front sections of hair and loosely pin to the back of the head with bobby pins. Don&apos;t worry about them looking sloppy since they&apos;ll be covered eventually. 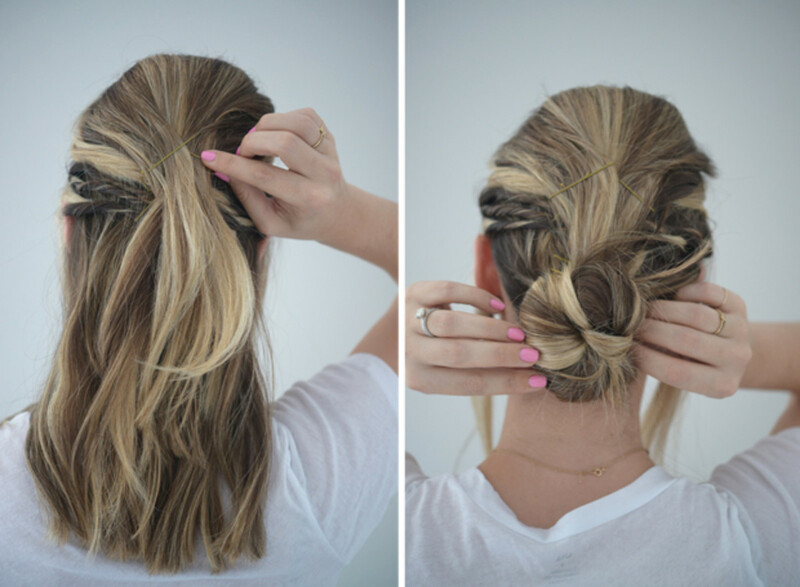 Step 3: Create 2-3 twists with small sections of hair from one side and pin under the other pins in the back (make sure to leave a small section of hair out on either side right in front of ears). Repeat on the other side. 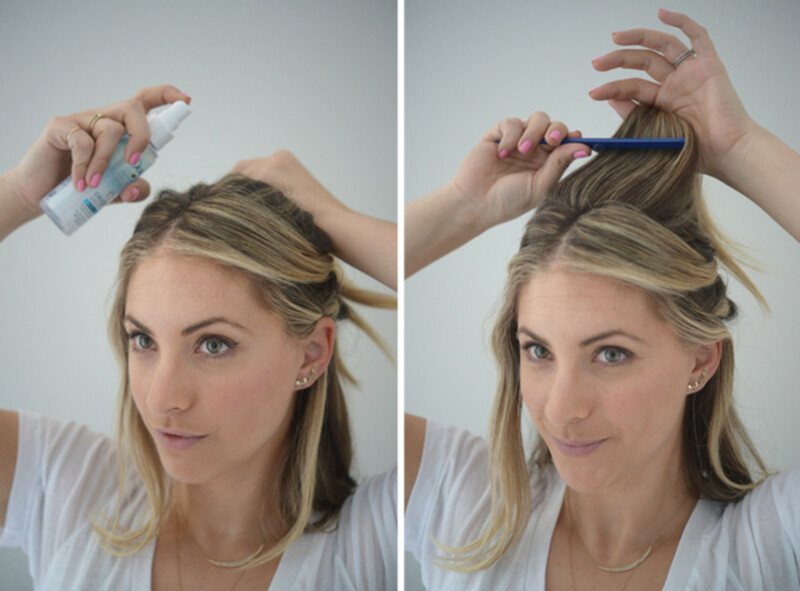 Step 4: Take down the crown section of hair and spritz lightly with the Dove Root Lift Spray. 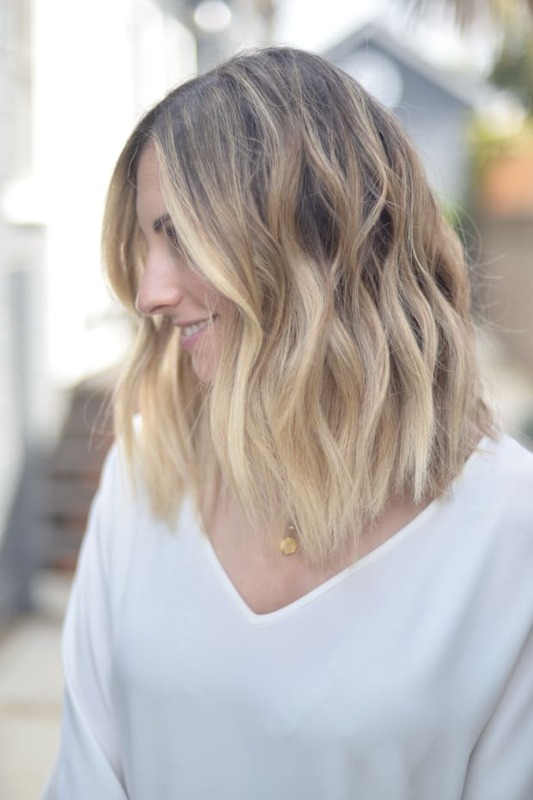 Then gently tease it up with a comb to create good height and a little volume. 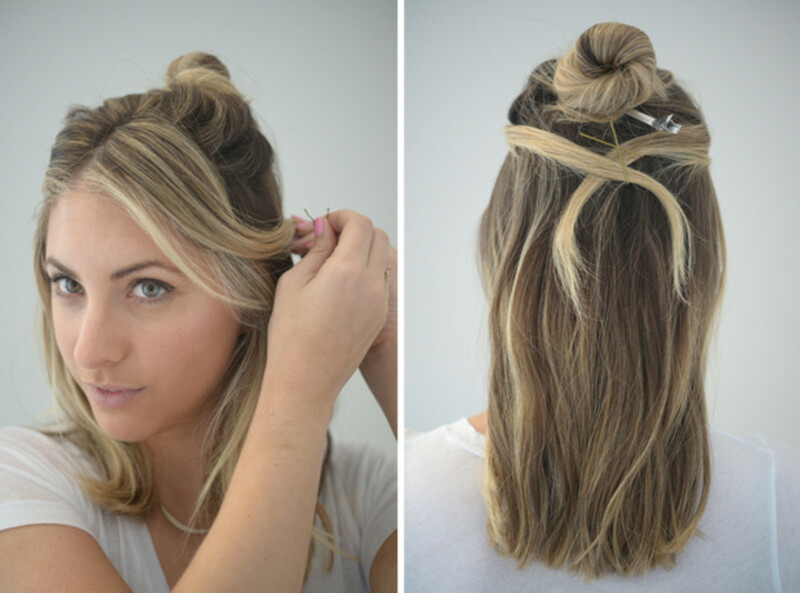 Step 5: Pin the teased section of hair and pull all hair (except for sections left out in step 3) into a bun. Step 6: Finally take the sections left out in step 3 and pull back loosely, covering the tops of ears, and pin below bun.